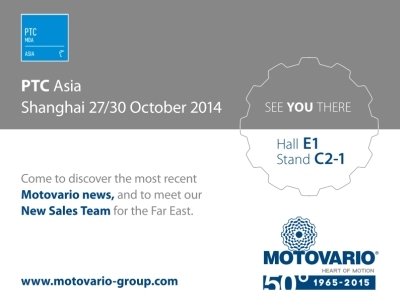 The Far East has a new commercial power in Motovario. We will present it during PTC Asia, the trade show dedicated to power transmission, in Shanghai from 27 to 30 October. Our experience in power transmission, our technological products and their numerous applications and customisations will be the focus of this event in Asia.